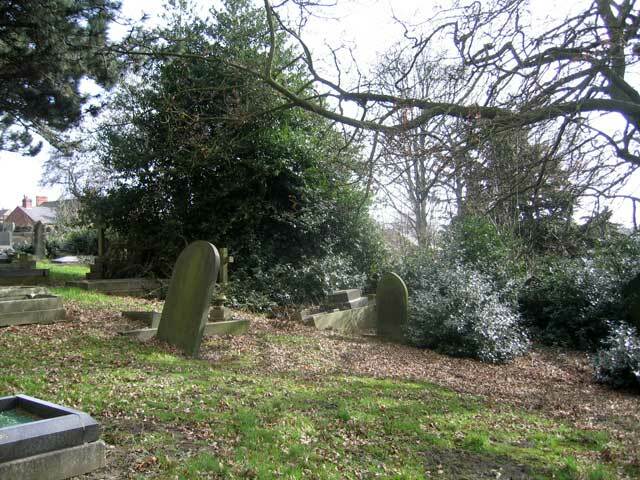 Chesterfield (Spital) Cemetery, contains 42 burials from both the First and Second World Wars. 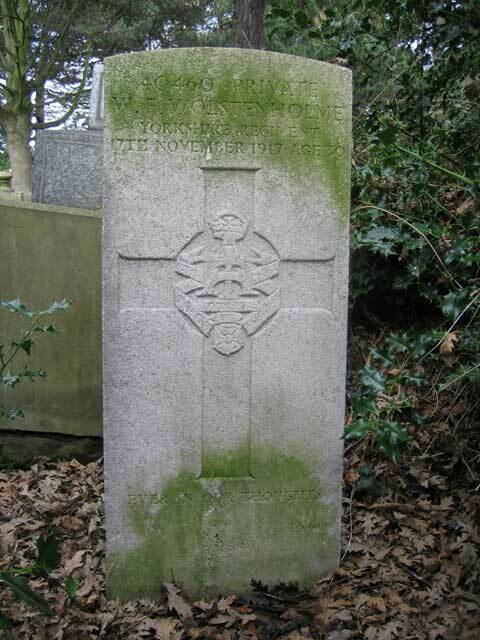 One of the First World War burials is of Private Walter Ernest Wolstenholme of the Yorkshire Regiment..
We are extremely grateful to Richard Roberts (<richard@nosnailshere.co.uk>) who has forwarded the photograph of Walter Ernest Wolstenholme's grave in this cemetery. 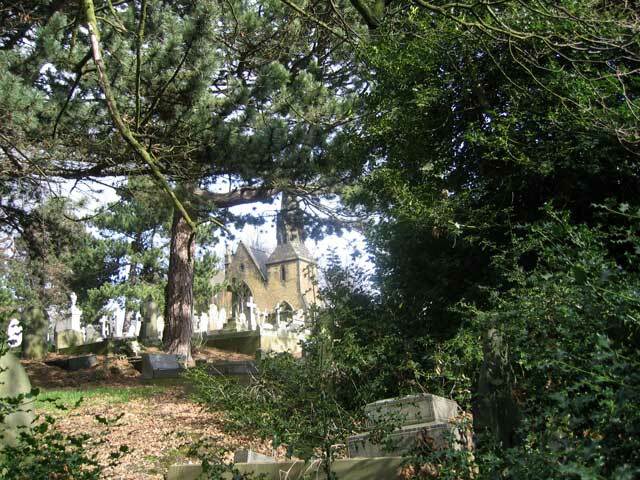 The grave was particularly difficult to find, as it was hidden inside a large holly bush (see photos below). Details of Private Wolstenholme are shown below, with the photos sent by Richard Roberts. Private Walter Ernest Wolstenholme. 40460. 9th Battalion the Yorkshire Regiment, formerly 25269 11th Reserve Cavalry Regiment.. Son of James Wolstenholme, of Chesterfield; husband of Hannah Robinson (formerly Wolstenholme), of Romiley Cottages, Barlboro Common, Chesterfield. Died (of wounds) at home 17 November 1917. Age 30. Born Chesterfield, Enlisted Derby, Resided Chesterfield.